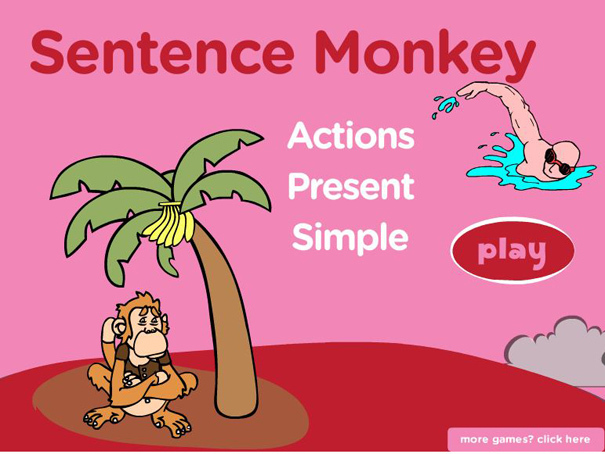 A fun game to play to create complete sentences using the simply present tense. Read the sentence and fill in the blanks with the correct form of the action verb. For every correct answer you win the monkey a banana!